Buy 10 or more for $27.54 each. In this revised four-color volume, Gleason Archer's original study is updated by author Dillon Burroughs. It approaches the study of the Old Testament from both the general and the specific point of view. Dealing first with issues over which many scholars debate, Archer offers evidence to support the conservative view of canonicity, historicity, inspiration, textual problems, and higher criticism. 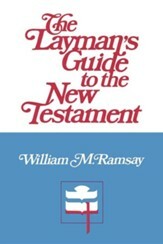 The second section dissects each book of the Old Testament individually. Archer thoroughly covers such issues as biblical creationism, Noah's ark and the flood, authorship, chronology, alleged language, style, and theme differences. A Survey of Old Testament Introduction is invaluable to students, scholars, and laymen who want to understand the conservative position of Old Testament issues and examine critical views. Complete with full-color maps, graphics, photographs, and charts as well as author, subject and scripture indices. 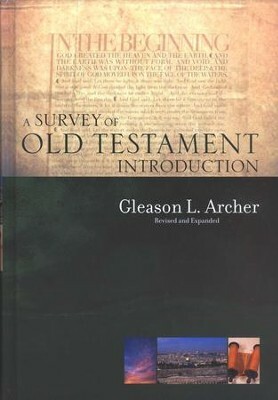 The late Gleason L. Archer (B.A., M.A., Ph.D., Harvard University;B.D., Princeton Theological Seminary; L.L.B., Suffolk Law School) was professor emeritus of Old Testament and Semitic languages at Trinity Evangelical Divinity School, in Deerfield, Illinois. He taught part time at TEDS and served as a minister of the Evangelical Free Church of America. He co-wrote A Theological Wordbook of the Old Testament. His instrumental work in the preparation of the Old Testament portion of the New American Standard Bible gained wide acclaim and positioned him as a world-renowned scholar during his lifetime. In this revised volume, Gleason Archer's original study is updated by author Dillon Burroughs. 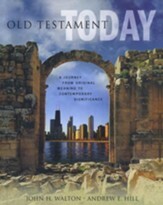 It approaches the study of the Old Testament from both a general and specific point of view. Dealing first with issues over which many scholars debate, Archer offers evidence to support the conservative view of canonicity, historicity, inspiration, textual problems, and higher criticism. 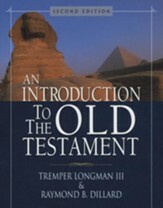 The second section dissects each book of the Old Testament individually. 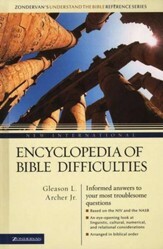 Archer thoroughly covers issues like biblical creationism; Noah's Ark and the flood; authorship; chronology; and alleged language, style, and theme differences. A Survey of Old Testament Introduction is invaluable to students and laymen who want to understand the conservative position of Old Testament issues and are not afraid to examine critical views. I'm the author/artist and I want to review A Survey of Old Testament Introduction, Revised and Expanded.